Accessible from major A-roads such as the A1 and A68, Kimberley motorhomes of Darlington is easy to get to from all over the North of England as well as Scotland. As one of only two official Hymer motorhome dealers in the North East and with only one in Scotland; Kimberley Darlington is your one-stop-shop for all things Hymer en-route to Scotland. If you are from Scotland and looking for a motorhome dealer in the North East of England, why not make a day of it? Along with our on-site awning and accessory shop, our Darlington branch is also fully accessible to wheelchairs and the mobility impaired owing to our new tarmacked site. Both car and motorhome parking is available, the children can be entertained at our large playground area and you can put your feet up after a long drive with a hot or cold meal in our café with free Wi-Fi also on site. 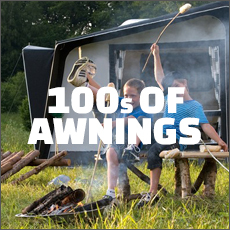 Kimberley motorhomes is more than just a dealer – we are a day out for all the family. Why not take your new Bailey, Hymer or Swift motorhome from Kimberley up to Northumberland? 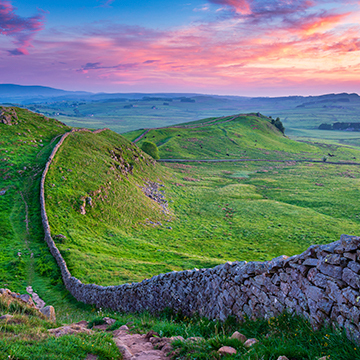 Home to Kielder Forest stunning coastal paths, historic castle and of course, and Hadrian's Wall, you will be rewarded by rolling hills and stunning British scenery. A trip to Northumberland is not complete without first visiting the home of Harry Potter – Alnwick Castle, a medieval fortress and home to the Percy family for over 800 years. Northumberland also sits on the Scottish border and is the gateway to Scotland for those of you looking for a really memorable road trip in your new motorhome bought at a great price from Kimberley of Darlington. The Scottish Borders contain some of Scotland's hidden historical locations; Melrose Abbey, contains charming sculpture, beautiful architecture, and a chapter house where the heart of Robert the Bruce is believed to be buried. For stately home fans, look out for Abbortsford, the home of historic novelist Sir Walter Scott. Again en route to Edinburgh and located on the banks of the river Tweed, discover the inspiration for many of his poems and novels. Duns Castle, a mere 20 minutes over the Scottish border, has been described as the gem of the Scottish border, and provides activities such as clay pigeon shooting, archery, croquet and falconry. For memorable motorhome experiences in Scotland, the borders are just a short journey from Kimberley motorhomes of Darlington. For those wanting to explore the metropolitan side of Scotland, you really are spoilt for choice. The capital city of Edinburgh is world famous for its iconic castle, and its medieval old town is well worth an explore. 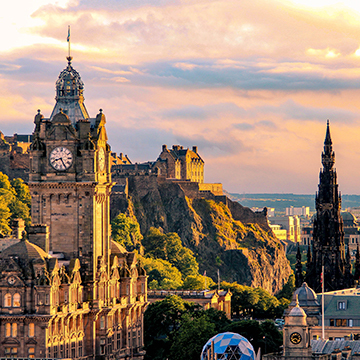 Every year there is the world-famous Edinburgh Fringe Comedy Festival whilst in low season you can enjoy a sojourn up the Royal mile taking in antique shops, cafes and the gothic architecture of this amazing city. Meanwhile in Glasgow; a previous winner of the European city of culture, you can view the famous art-nouveau architecture whilst making your way to the home of the Scottish Opera and Ballet. Both cities as well as others such as Aberdeen, Inverness and Dundee all have a vibrant shopping and nightlife scene, and what could be better than returning to your own luxury motorhome after a busy day sampling the sights, sounds and tastes of these unique cities? 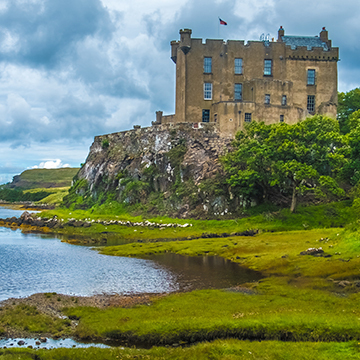 Last but not least, the Scottish Highlands offer stunning scenery and endless views, making it a fantastic place to visit in your new motorhome. 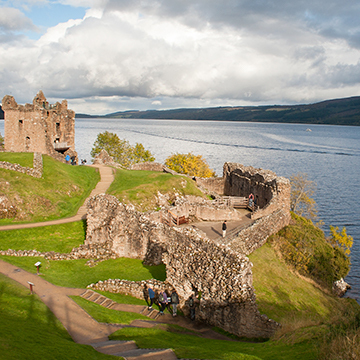 You could treat yourself for instance, to a drive around the famous Loch Ness and spot the Loch Ness monster for yourself. Or, venture up Ben Nevis towards the West Coast of Scotland. The charming town of Fort William sits at the foot of this impressive mountain and is a great place to stay in your new motorhome. Plus, after a day of hiking, your new motorhome will be waiting for you, ready to provide a good night's sleep for the next busy day. New Bailey, Hymer and Swift Motorhomes from Kimberley of Darlington are all well-equipped and ready to go when you visit our on-site accessory shop, so what's stopping you? Enjoy the beauty of the North East and Scotland.